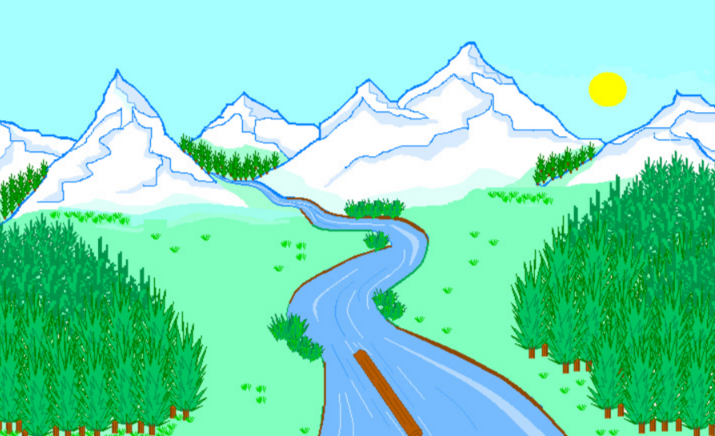 Sceneries are very nice things to draw. It is both easy and can give a very calming effect to those who create it and look at it. Whether you’d like to see a lush green surface, a white snowfield, or a looming forest in the night, sceneries are very broad and complex. You can see examples of such at ilustration agency ilustra and many more. Many simple ways are available to show you how to draw one. This tutorial will guide you in drawing whatever scenery is in your mind. Establish your horizon. A simple, fast line can do it. It can resemble a field of uniform structure. A curve can mean it sits on a hill or an elevated area. Establishing the horizon will explain how big the field of lush grass, snow, or forest is going to be. In simple talk, this is the hardest to master. Make sure you have a clear picture in your mind before you draw the horizon line. Both sides of the horizon can be filled with details, but it will depend on the line you make. For example, The lower the horizon line is on the paper, the bigger the added details should be (more on this later). It essentially establishes the viewpoint of the person who looks at the painting and can be one of the most important parts of the scene. Remember, make the line simple and make it count. Establish the needed details. The needed details should be able to make the drawing distinguishable; for example, a farmhouse on top of a hill if the scene is at a rural, snowy village or maybe even the city’s skyline at night with towering skyscrapers. You can add details that show the field above or below your horizon is full of trees, snow, grass, wind, or even the sea. After establishing the horizon, you can now focus on the details. If the horizon is lower, you should make the details as big as possible. This is because a low horizon calls for detail-oriented sceneries due to the point of view being very near in this case. If the horizon is high up, the buildings, like farmhouses and others, usually are much smaller, as it gives a point of view that is very far. Establish the lighting. The lighting can be tricky, but this gives life to your work very nicely. If the scene is in the daytime, a simple sun can illuminate the whole thing. However, the night can present nicer tricks. You can add lampposts or bonfires in the drawing to create many sources of light. As a result, you can play with a lot of shadows. Take note of where you place your light sources. If the sun is high up at 45 degrees, the shadows should extend away from it. Multiple sources call for multiple angles of shadows. Creating a night scene is a virtually harder scene to create on paper. Add highlights and colour. If the blowing wind is freezing, make sure you indicate this on the drawing with swirling curvy lines and with little frost flakes. However, do not overpower the important details you have established a while ago. The color can also determine the mood of the scene. Lighter and brighter shades call for happy moments. Looming shades can present gloomy, perhaps frightening situations.